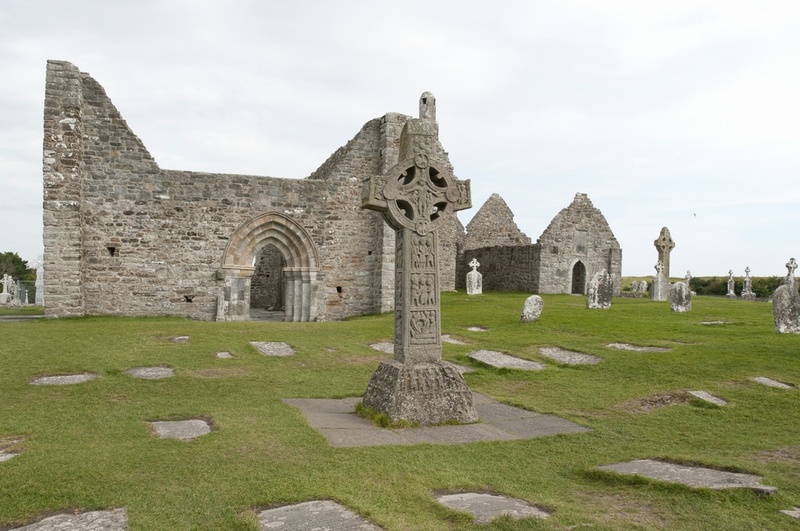 The ancient monastic city of Clonmacnoise was founded in the mid-500s by St. Kieran (or Ciaran), whose remains are interred there along with those of thousands of other people from the past 1500 or so years. Clonmacnoise was located in a prime strategic location in Ireland: almost dead-center geographically, and at the intersection of two natural highways: the River Shannon and a long, winding esker left from the last ice age whose crest provided a great natural roadway. Clonmacnoise is also located just minutes away from our home-in-Ireland in 2006 and 2010, the town of Birr, so it has become a favorite spot of ours.